PEROU – Uyo Uyo- Archaeology and history buffs will have to add one more stop to their lists of ancient sites to visit in Peru: Uyo Uyo. The Uyo Uyo archaeological site (not to be confused with the disputed phallic ruins at Inca Uyo near Puno or the Nigerian city of Uyo) is located in the Valle del Colca. 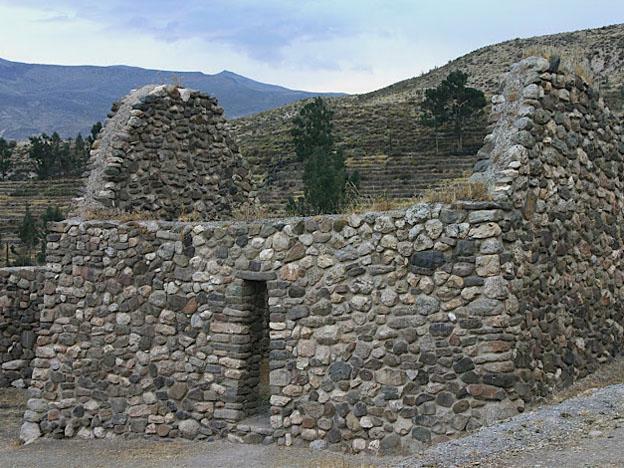 According to Andina, the site is a pre-Inca citadel that contains houses, a plaza, and an observatory. Andina reports that the restoration work on the site lasted three years and cost around S/. 3.5 million. By the end of the month, authorities are hoping to see all that hard work pay off— the complex is scheduled to open to the public on Thursday, Nov. 28. The restoration and prepartation of the site for tourist activity included the construction of an information center, a cafe, bathroom facilities, and parking for visiting vehicles. Investigators are unsure why the city was abandoned, writes Andina, but researchers are confident that Uyo Uyo was an important city in its day. PAKISTAN – Lahore - The Punjab Archaeology Department in Pakistan’s most populous province will conserve and restore a Sikh Samadhi and a Hindu temple, two important monuments located near the Lahore Fort, at a cost of Rs22m. The Samadhi belongs to Bhai Vasti Ram, a spiritual guide to Maharaja Ranjit Singh, and the temple to Jhingar Shah Suthra, a Hindu mendicant of Aurangzeb Alamgir’s time who, according to Sikh records, won the emperor’s favour with his “miracles”.Archaeology officials said yesterday that work on both the projects would start in January next year to be completed in 2016. The Samadh of Bhai Vasti Ram, entirely built in marble, is a beautiful and unique monument of the Sikh period. It was damaged badly during the 1992 violent protests in reaction to the Babri Masjid demolition in India. ARMENIE – Artashat – The archaeologists have found another archive fact during the excavations in Artashat. 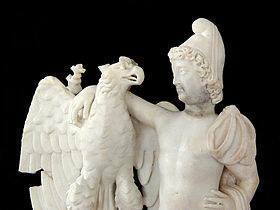 The director of the Institute of Archaeology and Ethnography Pavel Avetisyan told that the archive of the findings is exclusive, as it dates back to the 3-4th centuries. "We have excavated more than 800 seals in 2013. The recent findings are new and quite important facts" Avetisyan stated that there are the images of the kings and their names depicted on the seals. The excavations of 2007 showed that on the territory of the ancient Artashat 150000 people lived. 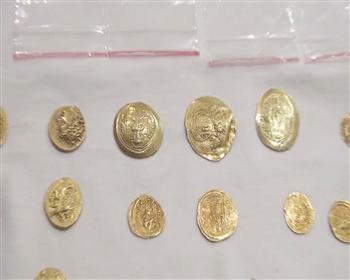 TURQUIE – Istanbul - Coins from the Byzantine and Roman eras have been seized from two people in Istanbul, who are now in custody for questioning. The 103 historic coins found are estimated to be worth 2 million Turkish Liras. It is estimated that the coins date back to 700-800 years ago in the Byzantine and Roman period. 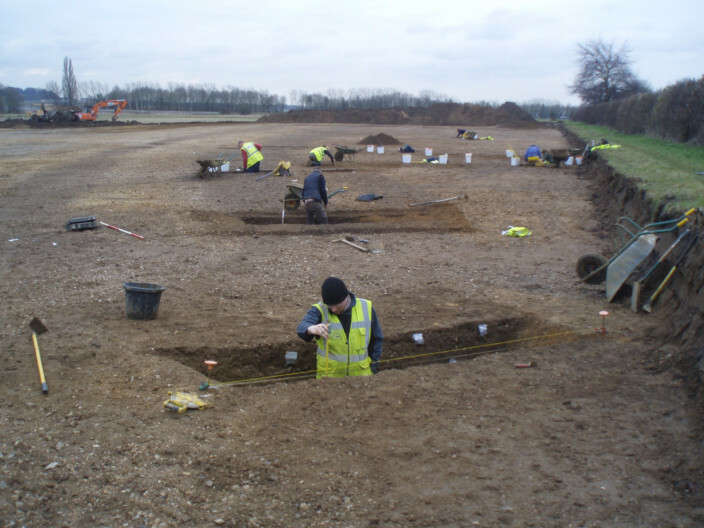 ROYAUME UNI – Cambridge - A huge archaeological dig on the edge of Cambridge has uncovered evidence of people living in the area in prehistoric times. 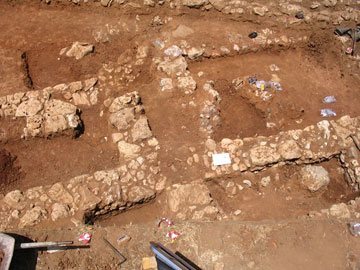 In what is described as the largest single excavation undertaken in the city, experts have uncovered traces of field systems, enclosures and settlements dating back to the Middle Bronze Age - 1,500 years ago. Finds include pottery and metalwork, among them a bronze spearhead, and a variety of body parts, including human skulls. Evidence of two “high-status cremation burials” from Roman-British times was found, one grave containing a leather-bound wooden box with a metal lock plate and 11 pottery vessels imported from Gaul, which would have been used during the funeral feast before being laid to rest with the deceased. The excavation has been taking place on the site of Cambridge’s new housing settlement, Great Kneighton, led by a team from Oxford Archaeology East. TURQUIE – Kars - During the road construction works carried out by the Kars Municipality, the gravestone of a Russian commander was unearthed on Nov. 8 when the wall of a mechanized infantry command was ruined. Now a team of 10 experts of the Kars Museum are working on the gravestone. The surroundings of the gravestone, which belongs to regiment commander Anatoli Petrovich, was excavated for three hours but no archaeological piece was found in the excavations. Kars Museum Director Necmettin Alp said that museum experts had found out that the gravestone was made at the end of 19th century, adding, a team was formed and they excavated 70-80 meters underground.” Alp said that Kars had been under Russian occupation for 40 years after the 1877-1878 Ottoman-Russian war and Russian soldiers were buried there. “There is a record that Anatoli Petrovich was buried here. When the works are done, we will bring this gravestone to the museum and display it there,” he added. Alp noted that they had not found the grave during the excavations.